Newly inducted members into the Phi Theta Kappa (PTKP Honor Society. Image courtesy of SCCC. 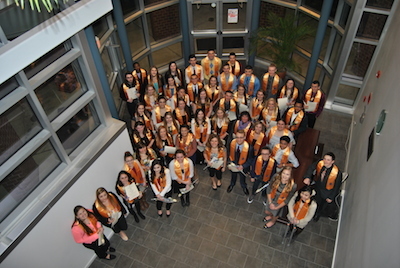 NEWTON – More than 100 Sussex County Community College students were recently inducted into the most prestigious honor society for community colleges in the United States. Phi Theta Kappa International is the honor society for 2-year colleges and boasts members from throughout the country. Membership is based upon academic achievement. Among the criteria for induction, students must be enrolled in an accredited associates degree program and have a GPA of 3.5 or over. As a member of this organization, these students are eligible to apply for Phi Theta Kappa Transfer Scholarships offered by over 600 4-year colleges and universities located throughout the United States. One hundred and one students were inducted into the organization during a ceremony held in March. 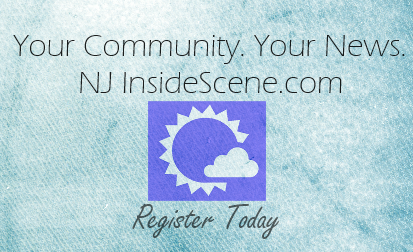 Alexander Altieri, Nicole Ammirato, Anthony Appaluccio, Nicole Bauberger, Daniel Bell, Garrett Bergner, Alex Block, Alexis Brennan, Andrei Burul, Nicole Casey, Jesse James Nick Catral, Madeline Chiappini, Emily Ciaravino, Justine Cieslik, Morgan Citro, Casey Cleaver, Julianna Cole, Ashley Craig, Adam Crisman, Lindsay Dale, Shannon Dalton, Connor Davis, Michelle Davis, Alexandra DeVilliers, Kyle DiStasi, Sarah Difalco, Jaimelynn Dingman, Samuel Dunn, Marissa Durgin, Rhiannon Eppinger, David Falleni, Emilee Fischer, Kristie Fuhrmann, Samantha Gomez, Sadie Gramuglia, Victoria Guyadeen, Caitlin Hall, Breanna Haudek, Jessica Hergert, Gabriela Herrera, Diana Hetyei, Arcangelo Iurato, Brittany Jollie, Brianna Kimberly, Carolyn Krone, Rachel Kylis, Melanie LaRusso, Beau Lethbridge, Seth Lewinson, Andrew Loiacono, Alyxx Mangine, Alfred Marcinkowski, Andrew Mastrelli, Emmi McAuliffe-Uchida, Cheyenne McDole, Brittney McGahey, Hannah McSweeney, Kaitlyn McSweeney, William Morrison, Liliane Moscagiuri, Sara Mountford, Tyler Nichols, Regina Norris, Ashlyn Nye, Ava Oliver, Morgan Philhower, Nathan Piserchia, Katarina Polizos, Breanna Puskas, Nicole Rafferty, Keith Ricciardi, Devon Richards, Erin Sanders, Trent Schamble, Kendra Schwabe, Jacob Schweinberg, Justin Scrufari, Sharron Silvia, Jennifer Slater, Steven Sokolowski, Amy Sollers, Jerryanna Spiegel, Tiffany Spooner, Kristopher Tapia, Anthony Terminello, Emily Timchak, Sarah Turo, Maxwell Unrath, Garrett VanderSluys, Erin VanGorden, Danielle Vitale, Daniel Walz, Kaitlyn Wamback, Amanda Wassel, Rebecca Weighall, Joseph Whitney, Brianna Wistuba, Jacob Wolfe, Corrine Woodhead, Ashley Young, Alexis Zimmerman.